What message is Apple trying to send with this approval? Is this simply a peace offering to show the world that they don’t rule the app store with an iron fist? 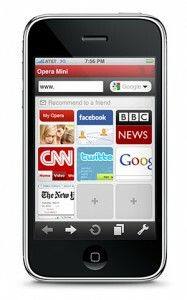 Was the public pressure for the approval of Opera Mini to heavy for Apple to ignore? Are they welcoming the competition with open arms, or do they not expect any viable competition from Opera? Thanks to TheHenry for posting the story that lead me to this bit of news.